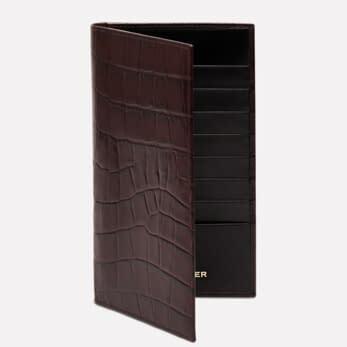 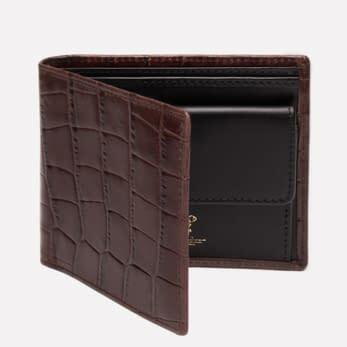 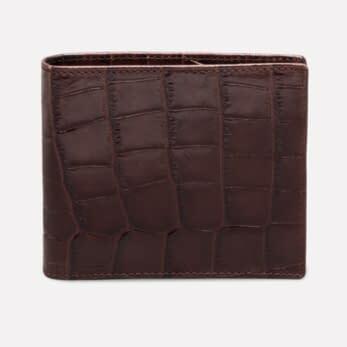 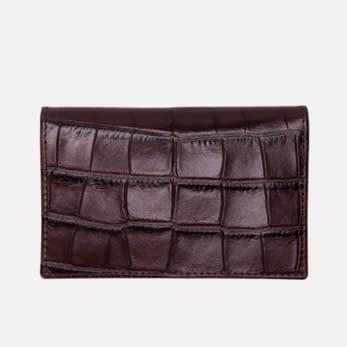 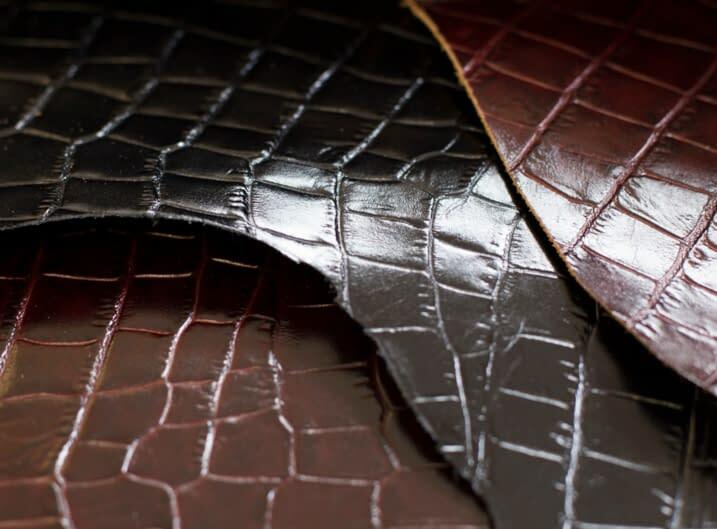 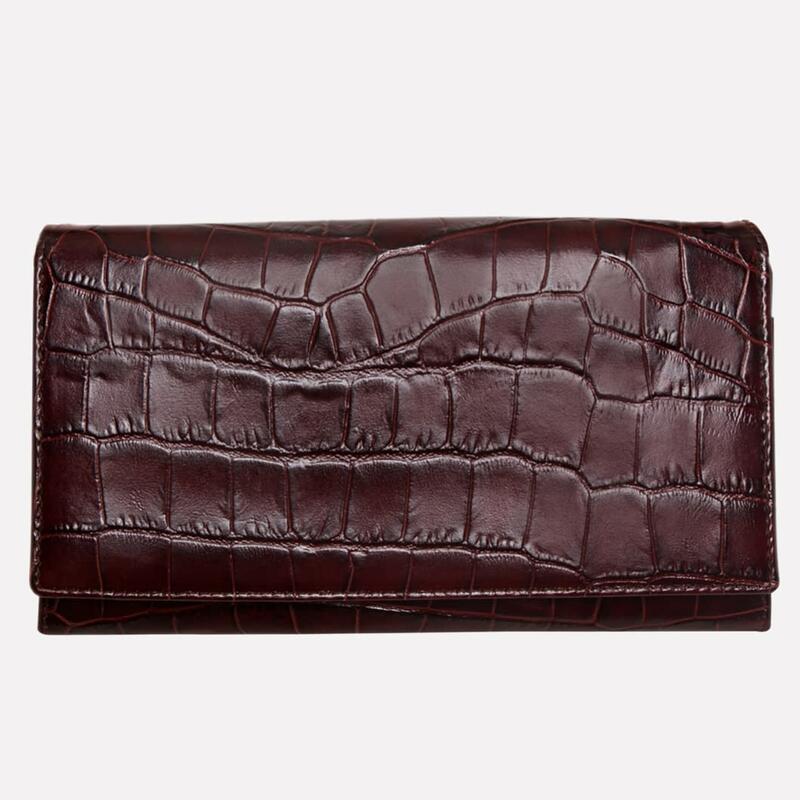 This collection certainly has the best lifelike crocodile print we have ever seen. 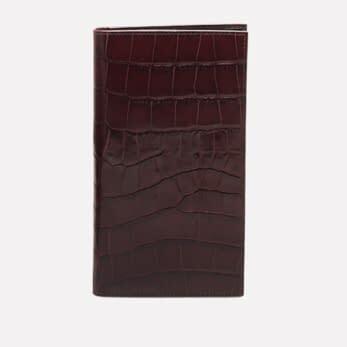 The beautiful dark mahogany is deep with tones of browns and reds and feels luxurious under the fingertips. 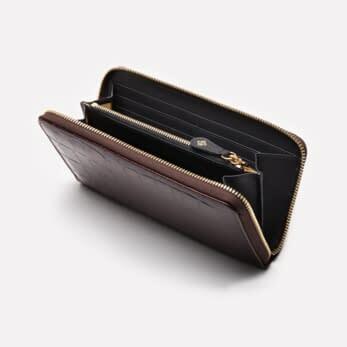 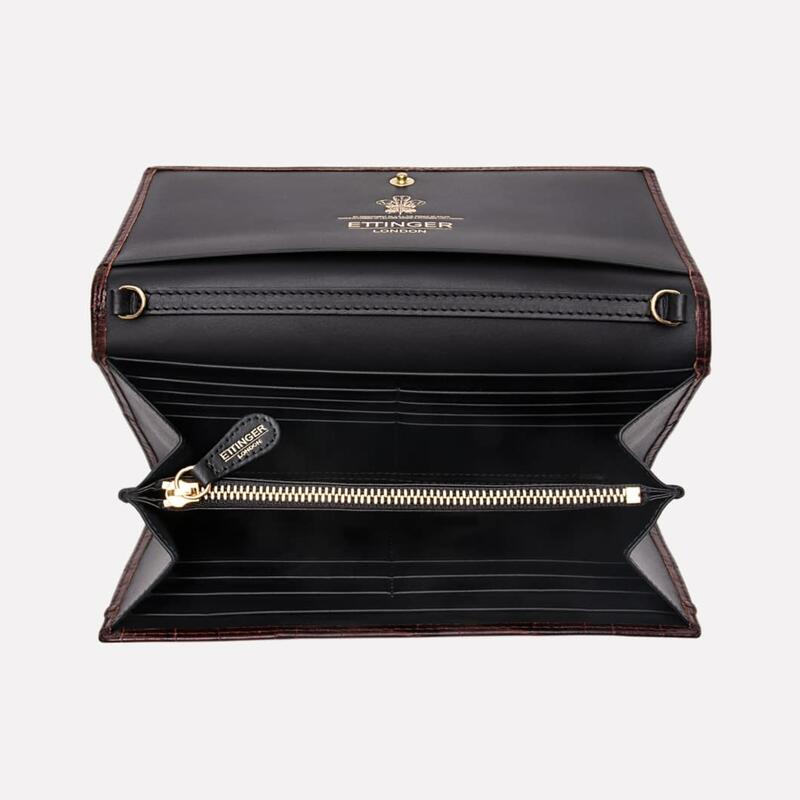 The beautiful exterior matches the inside black matt leather and the gold Ettinger logo perfectly, giving this purse the ultimate elegant look. 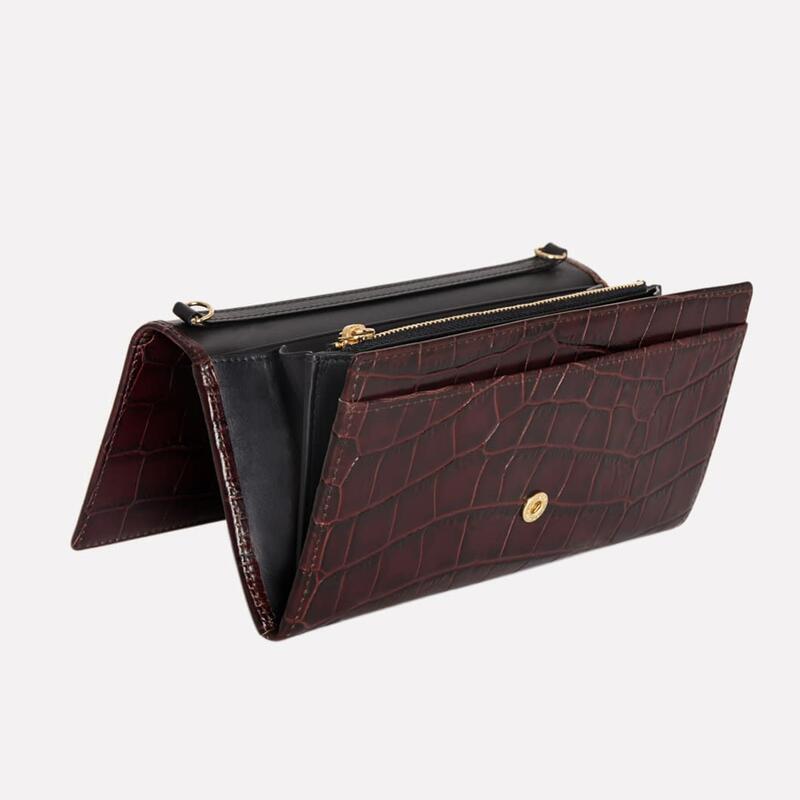 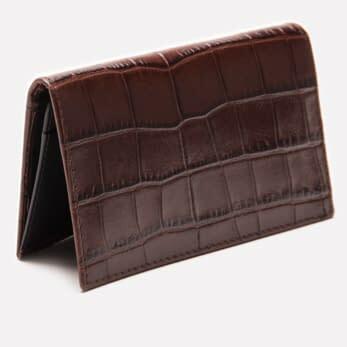 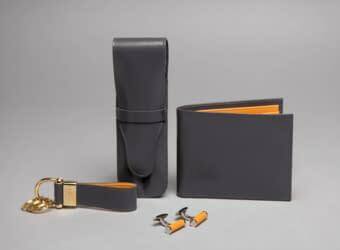 This flap-over is perfect to keep all your everyday necessities in one place and can also be used as a clutch and a travel wallet, fitting a slim phone, passports and a small set of keys. 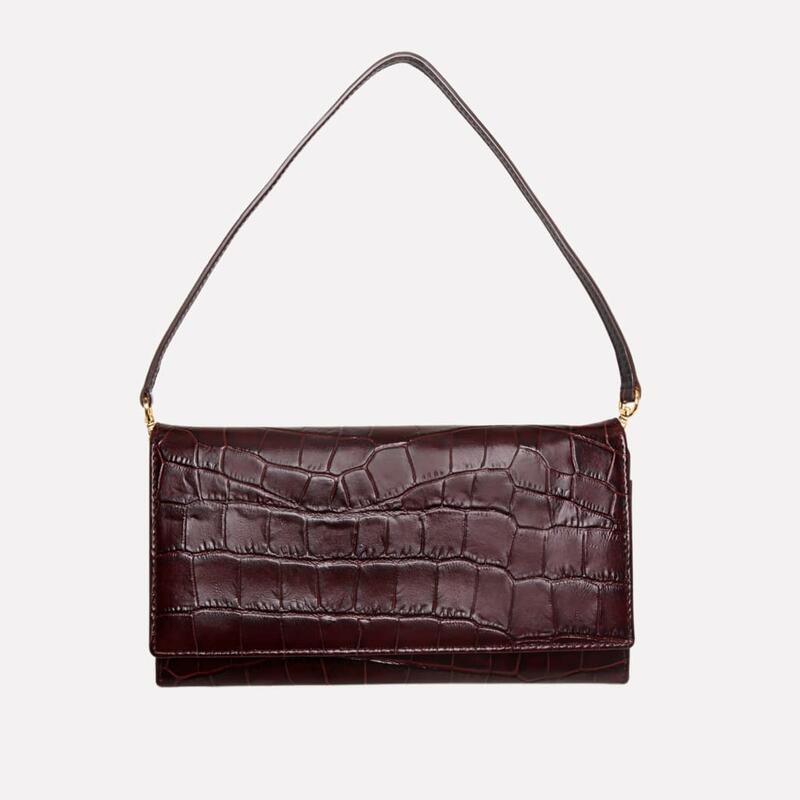 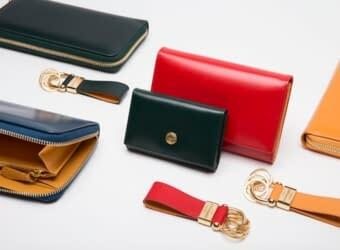 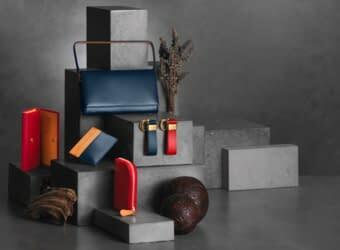 The purse comes with a detachable strap which makes this the perfect day to evening bag. 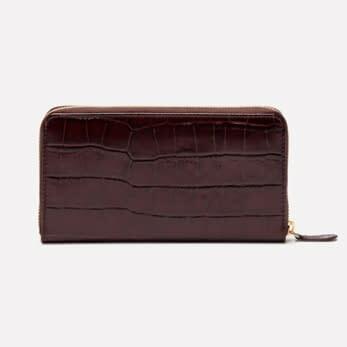 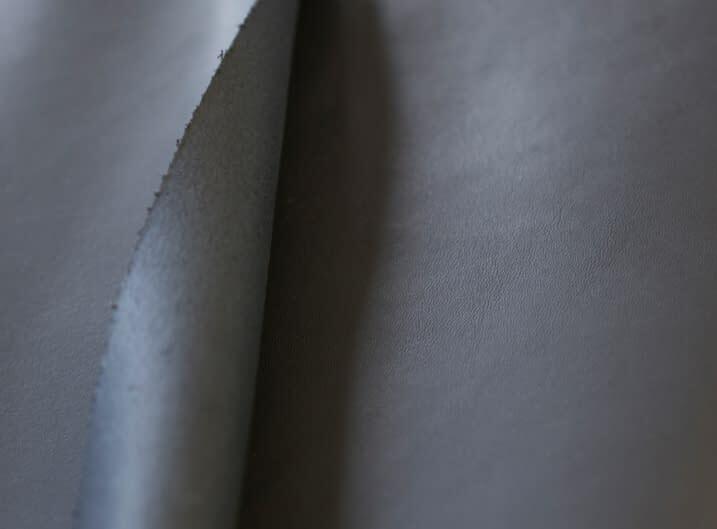 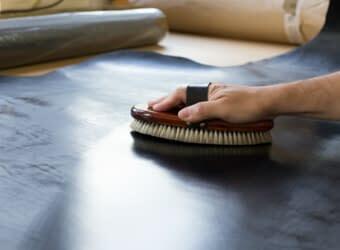 The croco printed cowhide acquires a beautiful shine in time and does not scratch easily, making it a perfect item for the woman on the go.